For many in the military, the name Harold Kushner rings no bells, unless they recall the best-selling book he authored in 1981, “When Bad Things Happen to Good People.” Even fewer people know that Rabbi Kushner served as an Army Chaplain. His stint as a chaplain was short, but is part of his story, the story that has made Harold Kushner who he is today. Harold Kushner’s parents immigrated from Lithuania to the United States, a fact that Rabbi Kushner mentions as one of the ways the U.S. had been good to his family1 Harold attended the Jewish Theological Seminary in New York and graduated in 1960, becoming an ordained Rabbi. Jewish students worship at the Fort Slocum Chaplains’ School (The Big Picture, U.S. Army, 1960’s). The new Chaplain Harold Kushner would have attended the Army Chaplain School at Fort Slocum in New York before taking on his duty assignment. 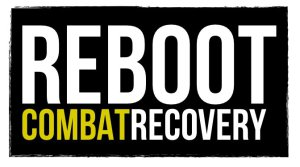 Here, civilian clergy from the various denominations and faith groups came together to learn about how the military functions and how to transfer the education and experience they came with into ministry in the military. Each faith group would regularly gather to study and worship according to their faith tradition. 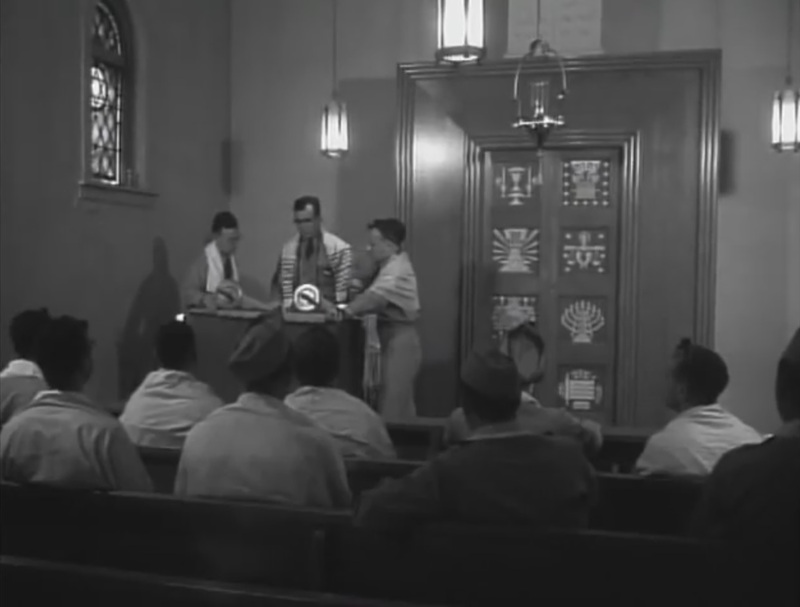 Chaplain Kushner would have gathered with other Jewish students at The Chapel of the Eternal Light to worship together, as reported in a 1960’s episode of “The Big Picture” produced and distributed by the U.S. Army. Chaplain Kushner’s involvement with the Jewish community in Lawton is evidenced by a 29 June 1961 obituary in The Lawton Constitution (pg 7) which listed him as the officiating minister for Mayer Zak, who had died on Tuesday of that week and was buried in Memorial Park Cemetery. Many people had to cooperate to make that work. My wife planned the menus, came up with the recipes (how do you translate a recipe that serves eight so that it will serve two hundred? ), and supervised mess-hall cooks who were utterly unfamiliar with such concepts as keeping meat and milk utensils separate. The quartermaster’s office was immensely helpful. Since they periodically had to order new dishes and silverware, they timed their order so they could give us brand-new utensils for the holiday and afterward put them into regular service. Both Seder meals were attended by some two hundred GIs, some from traditional homes for whom missing a Seder would have been a serous deprivation and some only nominally Jewish who were surprised to discover how important it was for them to share a holiday meal with fellow Jews. This being the first Seder I had ever conducted, I struggled to maintain a suitable ratio between Hebrew and English and between reciting and eating. The morning after the Seder, our kosher-for-Passover mess hall was open for three meals a day, meeting the needs of Jewish troops and the occasional non-Jewish buddy who heard how much better the food was at the Jewish mess hall. When Passover was over, we inventoried the dishes and silver, thanked the cooks, counted up how many meals we had served, and looked back with profound satisfaction at how well everything had worked out. Chaplain Kushner’s issued Jewish Chaplain Kit (previously in author’s collection). By this time in Chaplain Corps history, newly accessioned chaplains were regularly being issued a chaplain kit to assist them with providing worship for their faith group, though some still received them from their endorsers. Likely, Chaplain Kushner received his kit from the Jewish Welfare Board, since Jewish chaplains were scarce in the Army. These kits were primarily used for worship in the field and on deployments since most chapels were equipped with the necessary altarware for the worship services. 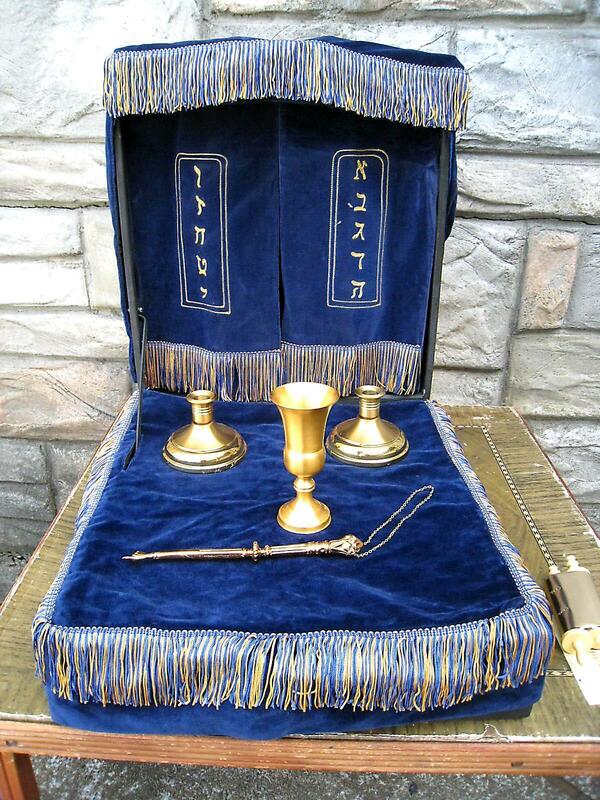 Chaplain Kushner would obviously have received a Jewish Chaplain Kit which included the Torah scrolls, a yad, a kiddish cup, two candlesticks, a prayer shawl and a supply of Jewish prayer books. Harold Kushner, photo by Ariel Kushner Haber, from Rabbi Kushner’s Facebook page. When Chaplain Kushner completed his time as a chaplain in the Army, Rabbi Kushner became an apprentice at a synagogue in Long Island for four years then in 1966 became the rabbi for Temple Israel in Natick, Massachusetts.10 It was during the Kushner’s time on Long Island when their son, Aaron, was born and diagnosed with progeria which caused his untimely death in 1977 prompting the writing of “When Bad Things Happen to Good People” which became a best-selling book, further evidence that Rabbi Kushner has continued to meet the needs of people through his ministry. 1 Kushner, Harold, Nine Essential Things I Learned About Life. 5 Personal letter from Rabbi Kushner to author, 1 October 2017. 6 http://www.legacy.com/obituaries/lake-county-news-sun/obituary.aspx?n=david-s-lowy&pid=89090890, accessed 15 Sep 17. 7 Rips, Nancy & Kushner, Harold, Seder Stories:Passover Thoughts on Food, Family and Freedom, pgs 54-56. 8 I am greatly indebted to Chaplain Bob Nay for information on chaplain kit development.